MANILA -- A resolution has been filed seeking to adopt the proposed rules on media coverage at the House of Representatives. Antipolo City Rep. Cristina Roa-Puno filed House Resolution No. 2149 seeking the adoption of the draft rules crafted by the House Press and Public Bureau, in consultation with the Office of the Speaker, the legal department, the Secretariat, and even media practitioners. 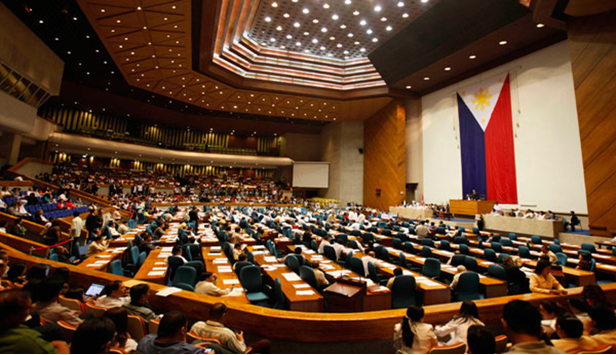 "Adoption of the Proposed Rules For Media Coverage of the House of Representatives is imperative to guarantee freedom of the press and of information, while ensuring public order and safety," Roa-Puno said in her resolution. In a press conference on Monday, House public information committee chairman Ben Evardone expressed some "reservations" about the draft rules as it may restrict media coverage at the lower chamber. "In a way, it might restrict your access to securing vital information," Evardone said. Evardone, however, assured that his committee will consult media practitioners, as well as other stakeholders before approving the guidelines. "We will not allow a diminution of your access (and) efforts to secure your news items and materials," he added. A copy of the current draft rules have yet to be distributed to House media. Based on earlier reports, the draft rules released by the Press and Public Affairs Bureau disallow ambush interviews of House members, resource persons or invited guests on the hallways of the House buildings.